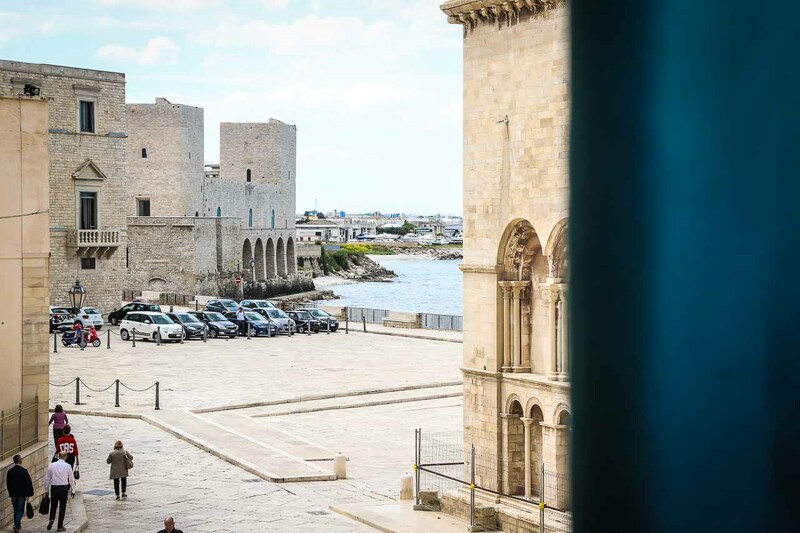 Located in the historic city of Trani, Palazzo Filisio - Regia Restaurant offers a charming restaurant and comfortable rooms with views of the Duomo, the center, the port or the Adriatic Sea. Facing the Duomo and just 50 meters from the sea, Palazzo Filisio - Regia Restaurant is set in an antique 18th-century building. The property is located near the quiet pedestrian area and within walking distance of famous monuments. Guests can relax at the on-site bar and enjoy a tasty meal in the restaurant, which serves local and regional cuisine in a cozy atmosphere. At Palazzo Filisio - Regia Restaurant you will find a 24-hour front desk, a free internet point and 2 meeting rooms. The property offers double, triple and quadruple rooms renovated in 2018, all decorated in a classic style and equipped with modern comforts. This area of ​​Trani is a favorite of our guests, based on independent reviews. This property is also in a position rated among the best in Trani! Guests like it more than other facilities.